It came to me in a dream. A vision. A blinding flash of mind-expanding inspiration. You know what Tom Waits needs? A duets album! You feel silly now not having thought of this yourself, don’t you? Well, that’s why I have this super-important blog and you don’t. It all makes sense if you think about it. I think, contractually, this has to be appear on a duets album. And I want to hear your voice in all its seedy, gravelly glory, up against Ms Parton’s high-pitched sass. You’d be pleading for her to stay for just one drink and she’d just be pretending to not be interested. I loved this – the Sinatra/Crosby version. Let’s not think about the Iggy Pop/Debbie Harry version. You and Mr Cave would be slightly more…dangerous. Did you evah? Of course you have. You can compare scars. It would be like that scene on the boat in Jaws, but with champagne and witty dialogue. Was it on the boat? The bit where they talk about scars? Have you even seen Jaws? I love Prince. You love Prince. Sing something with Prince. Maybe this. My next pitch will be Prince doing a covers album and this will really help me out. Just try to remind people how great he is – he’s hasn’t been doing himself any favours lately. OK, I know what you’re thinking. “FoNY” is on the official list of Songs That Should Never Be Covered. It’s perfect. Anything less than the original is just a waste of time. I know this; you know this. But let me tell you something that a wise man on a dirt road in Tahiti once told me. Every truth holds its own contradiction within itself. Think about that. And for this truth, the contradiction is you. Your version would be more perfect. PERFECTER. A story about a repentant drunk looking back on his life on what is possibly his last Christmas Eve? How haven’t you sang this? This is your whole career! And Dessa? She’s wonderful and needs to be heard by more people, so sing it with her. You’re built for cabaret, just like AFP. 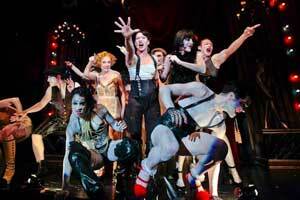 And if you did Cabaret together? I think time itself would stop. At least my brain would freeze. But in a good way. A don’t-ever-let-this-moment-end way. And if it was recorded, I could put it on repeat and play it over and over until the police came, I was evicted, and ending up stripping lead off church roofs just to make some moonshine money. Totally worth it. You were kind enough to help out Mr S, bring him such much-needed kudos, by singing this with him live. Now get it on tape officially. Otherwise, no one will believe him when he tells them this actually happened. Willie likes duets. He’ll sing ’em with anyone. You can come on down to Austin and record it with him here. I’ll make up a bed for you on my sofa. It’s a big sofa, comfortable. We could play some FIFA. Eat some pizza. And I like this song. Do this one for me, Tom. After all, this is all my idea. You owe me. I’ll be honest. This one’s a bit left-field. I don’t know; it might not work. But let’s float it out there, see if it sails. Maybe you need a boost in the Streisand demographic. Can’t hurt. And whoever didn’t want to follow in Neil Diamond’s footsteps? Nora’s another serial duetist (duetter? dueterist?). She can sing this; she’s done it before. It’s your song. Another no-brainer. Performance and song-writing royalties: the double. Kerr-ching, right? Do you need a business manager? I think I’m available. Call me. I’ll have my people set up a meeting.